Our modern version of this perennial favorite is crafted from super premium fleece for comfort and superb wear resistance. 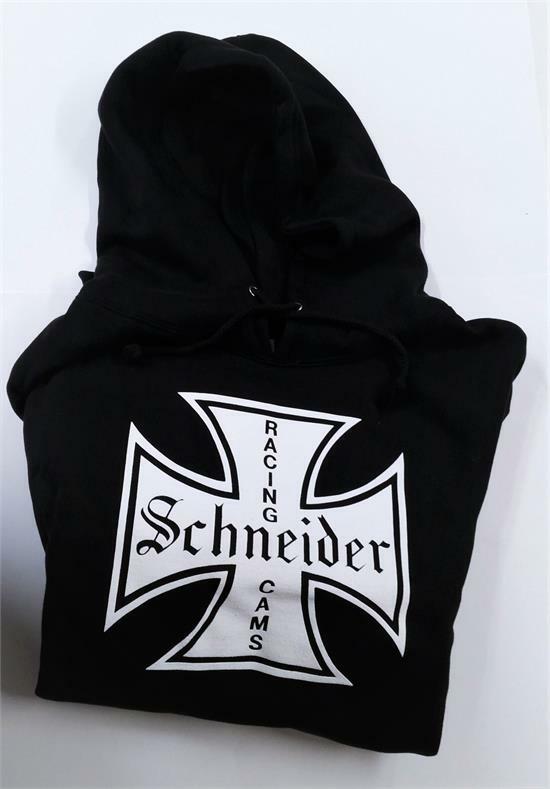 This black sweatshirt features a large white Schneider Iron Cross on the back with a slightly smaller version on the front. They come in both crew neck and hoodie styles. The hoodie is a "Monster Hoodie" and is thicker than usual to keep you extra warm while cruising in your hotrod on cold nights.